Keeping a clean environment is essential to attracting customers to your business, but too many business owners and facility managers neglect one of the most important aspects of cleanliness: the carpet. While carpeting may be lower on an owner’s list of important topics than, say, inventory or payroll, most customers will judge a company on its cleanliness standards. Here are three reasons that your business should consider professional carpet cleaning from Triclean. Nobody wants to enter a store and be confronted by foul odors. 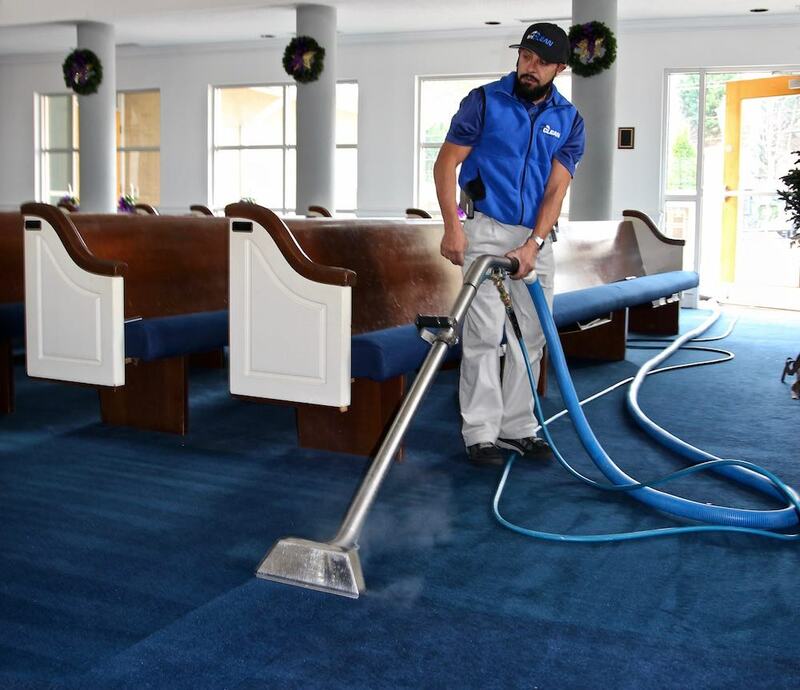 One of the best methods of deodorizing an office, corporate building, restaurant, or other commercial building is to give the carpets a deep clean. At Triclean, our carpet technicians are certified by the Institute of Inspection, Cleaning, and Restoration Certification and can provide a variety of services for our customers’ changing needs. These can include deep soil extraction, stain prevention, carpet protective measures, and more. A huge part of having a successful business is cutting back on needless expenses. One such expense is the replacement of carpeting and floor material due to stains and wear-and-tear. By having professional carpet cleaning treatments, a carpet can avoid dust and dirt buildup, revitalize highly trafficked areas, and last longer. In some cases, a buildup of dirt and detritus in carpeting can lead to health hazards. It is common for allergens to become embedded in dense carpet fibers, causing employees and customers to have negative reactions. With carpet cleaning and odor control from Triclean, a business can ensure that its clientele can breathe easy and free. Triclean is dedicated to helping businesses achieve success. Not only do we provide extensive carpet cleaning options, but we also clean and seal tile floors, handle concrete sealing, wash windows, offer routine professional cleaning, and even provide damage restoration services for businesses that have experienced emergencies. If you are a business owner or entrepreneur who needs professional carpet cleaning, look no farther than Triclean. Call us today or fill out the form on our contact page to get in touch with a representative and begin discussing your company’s cleaning needs.